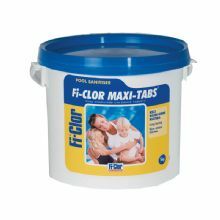 Fi-Clor Premium 6 tablets are specially formulated to out-perform standard 200g trichlor tablets, with a fast acting shock layer, and a slow-releasing long-lasting disinfectant to kill potentially harmful bacteria and organisms. 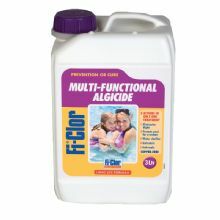 The Fi-Clor Multi-Functional Algicide is a long life copper free algaecide designed to protect your Swimming Pool for an entire Summer season. 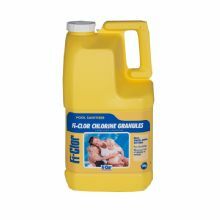 Fi-Clor Rapid Clarifier has a fast acting, powerful formula to turn cloudy water crystal clear. 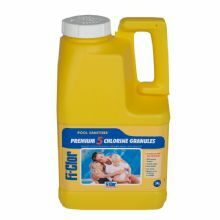 It helps the sand filter catch fine particles. 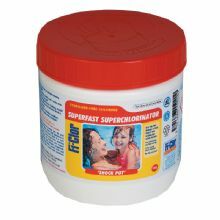 This 'shock pot' contains sufficient Superfast product for 2 Superchlorinations or 1 major shock dose in the average domestic swimming pool of 11,000 gallons (50m3). 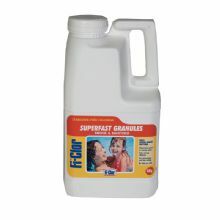 Fi-Clor Superfast Granules have 78% available Chlorine which makes it the most powerful stabiliser-free chlorine currently available in the UK. 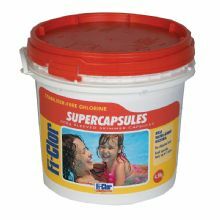 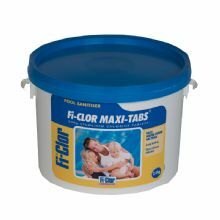 Fi-Clor Supercapsules are the easy alternative to Superfast Granules, and are a direct stabiliser-free replacement for regular Chlorine Tablets. 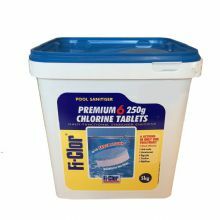 Fi-Clor Bromine Tablets disinfect pool and spa water by killing bacteria and other potentially harmful organisms. 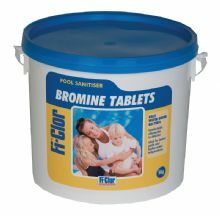 As they are slow dissolving, the tablets give a constant supply of sanitiser over long periods. 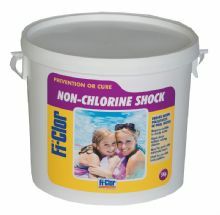 Fi-Clor Non-Chlorine Shock can be used to shock dose pools which use all types of chlorines as a sanitiser without boosting chlorine levels. 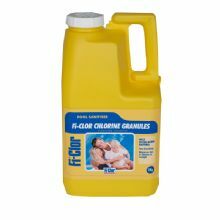 Fi-Clor Calcium Hardness Increaser is a product designed to increase calcium levels without the need to pre-dissolve. 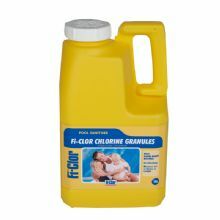 High quality Fi-Clor Stabilised Chlorine Granules are designed to out-perform regular Stabilised Chlorine products with their fast acting fine particles. 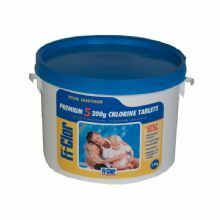 An easier way of maintaining chlorine levels in your pool, Fi-Clor 200g Chlorine Tablets are placed in the skimmer, floating dispender or chlorine feeder (trichlorinator). 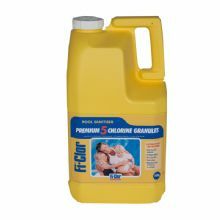 Fi-Clor Premium 5 Granules are specially formulated to outperform standard chlorine granules, rapidly disinfecting water to kill potentially harmful bacteria and other organisms. 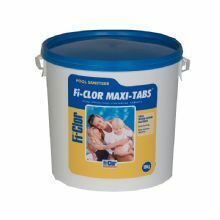 They are Multi-functional; contains algicide & water clarifier. 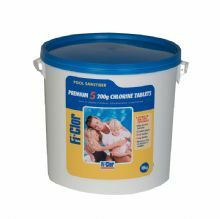 Fi-Clor Premium 5 Tablets are the market leading multifunctional chlorine tablet, combining a high chlorine content, an algaecide and clarifier. 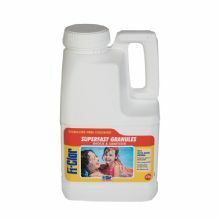 Fi-Clor pH & Alkalinity Reducer should be used to correct high levels of pH or alkalinity. 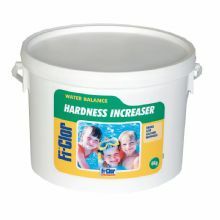 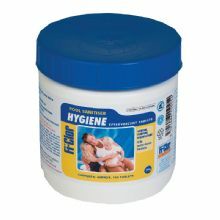 Fi-Clor pH Increaser (Soda Ash) is used to raise the pH level in swimming pool water. 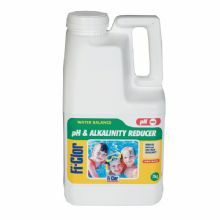 Fi-Clor Alkanity Increaser is used to correct low alkalinity levels in pool and spa water. 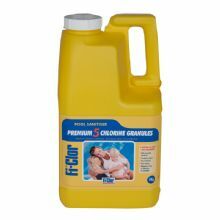 Fi-Clor Winteriser Algaecide has been specifically developed to prevent algae and fungi when the pool is shut down for the winter.